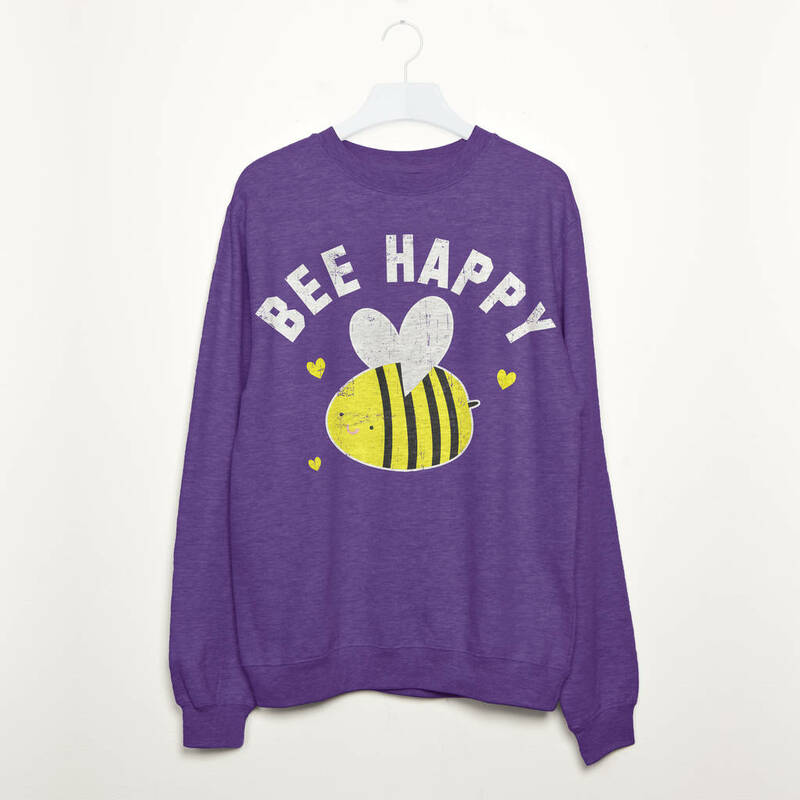 Super-soft women’s sweatshirt with Bee Happy slogan print. Don't worry - bee happy! 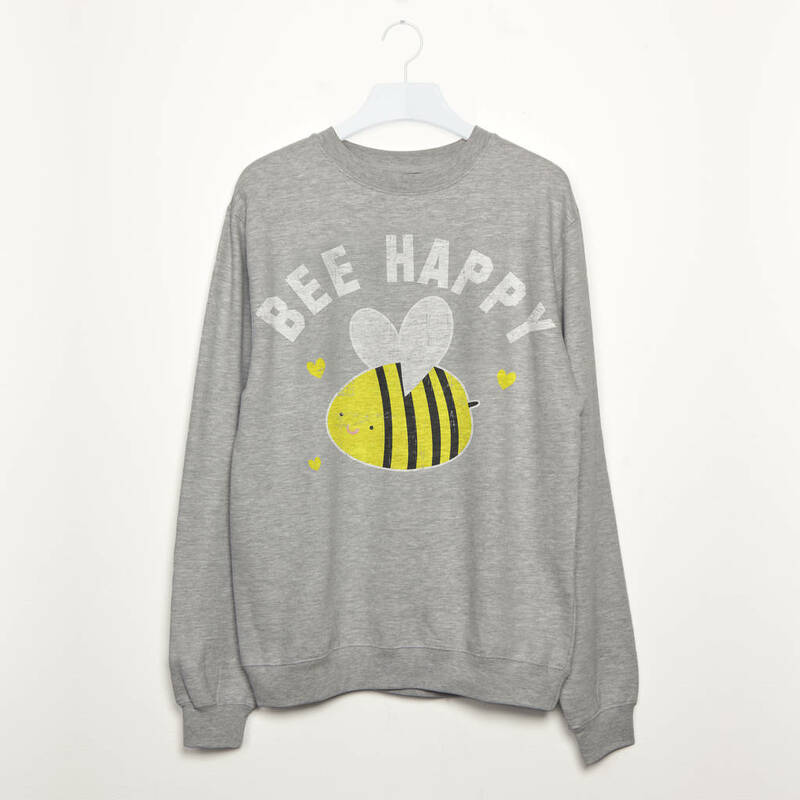 Positive vibes only in this feel-good motivational and most importantly CUTE bee jumper.